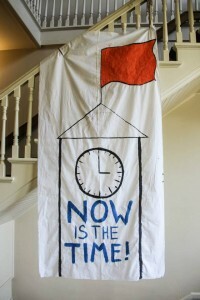 Why does divestment work as a tactic in the broader movement to address climate change? Divestment itself cannot mitigate climate change if undertaken in a vacuum. Institutional and individual divestment from fossil fuel helps create social space, political will and economic incentive for other action and policies that will bring about a clean energy society capable of functioning within the planet’s natural limits. In other words, it is both a moral and economic action that helps reverse the powerful inertia of a system we know is rapidly and malignantly transforming the planet. A growing international divestment movement is well underway and promises to promote systemic change similar to the 1980s South African apartheid divestment movement and the more recent anti-tobacco campaign.